Replacing him will be the former boss of FCA's Ram and Jeep brands, Mike Manley. The company said in a statement that "unexpected complications arose while Mr. Marchionne was recovering from surgery and that these have worsened significantly in recent hours." "As a consequence, Mr. Marchionne will be unable to return to work," the statement said. John Elkann, a member of the Agnelli family that founded Fiat in 1899, will become Ferrari's chairman. "Over the past 14 years together we have lived through successes and difficulties, internal and external crises, but also unique and unrepeatable moments, both personal and professional," Elkann, the chairman of Exor, which owns a large stake in FCA, said in the statement. Obama's team eventually decided to bail Chrysler out to avoid another shock to the economy -- and to Chrysler's suppliers -- more than because of any real faith in the automaker's long term viability. For one thing, it's pretty small as far as automakers go, and economies of scale are critical when it comes to building cars. Fiat Chrysler is a distant third in US sales and 8th globally. That's why Marchionne had been looking for a potential buyer for Fiat Chrysler for most of the last ten years. More recently, Marchionne expressed optimism about FCA's future. He intended to step down from his role as CEO in April next year, and he laid out a plan for FCA to become the United State's most profitable automaker over the next five years. "I've become irrelevant in all this," he quipped during a meeting with investors in Italy last month, according to Detroit News. 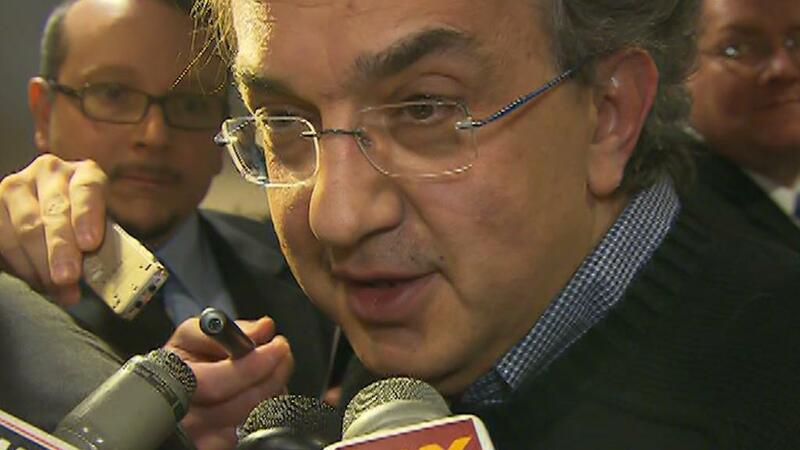 Analysts described Marchionne's departure as a loss for FCA. "I would never bet against Marchionne," said Rebecca Lindland, executive analyst at Kelley Blue Book. Lindland added that Manley, Marchionne's successor, was her top choice to take over as FCA's chief. But she envisioned Marchionne remaining a fixture at the company even after his retirement, helping to steer the company toward his goals for it. Marchionne's departure will also cause ripple effects through the company's management. Manley will have the be replaced at the helm of FCA's most successful brand, Jeep, which he had been running "masterfully," Lindland said. Marchionne "helped illustrate the power of foresight and confidence and being able to make bold moves," Brauer said.